What is a 6 PACK? A “6 PACK” is composed of 6 men with ages covering a span of 6 decades (teens, 20s, 30s, 40s, 50s, 60+) that meet once a month for 6 months. The goal of a 6 PACK is to promote intergenerational relationships that lead to discipleship opportunities. 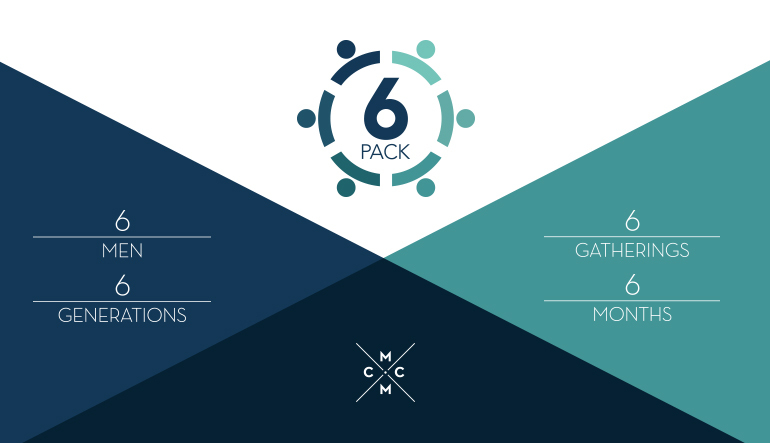 6 PACKs will meet according to mutual availability by all members in the group. Sign up by the end of September 2018 and you will receive more information by beginning of October. To discover more about Calvary Church Men's Ministries, contact Pastor Tim Nellis at (714) 550-2391 or .